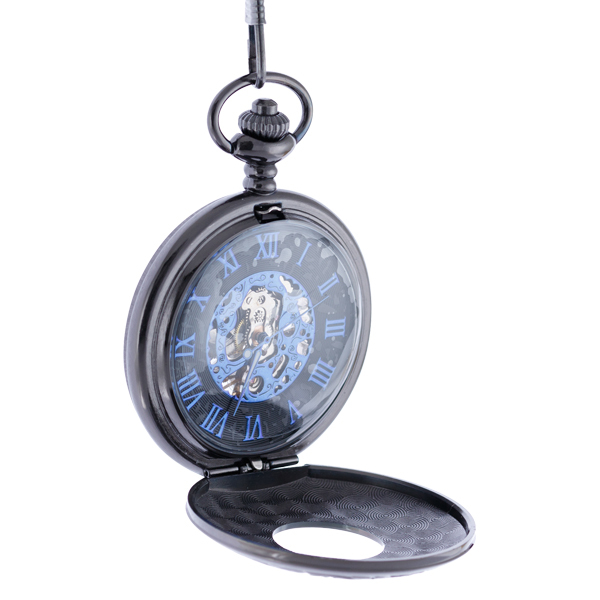 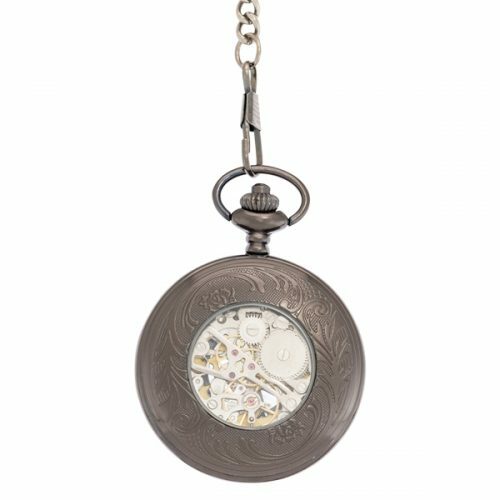 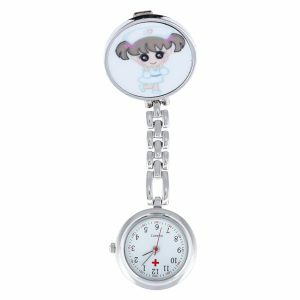 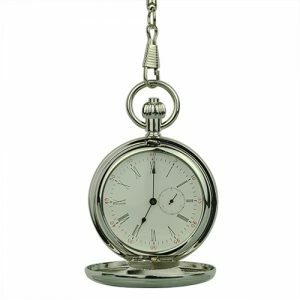 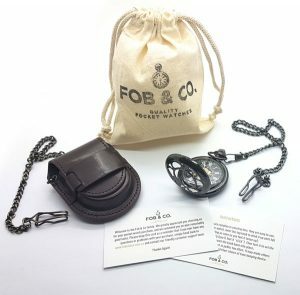 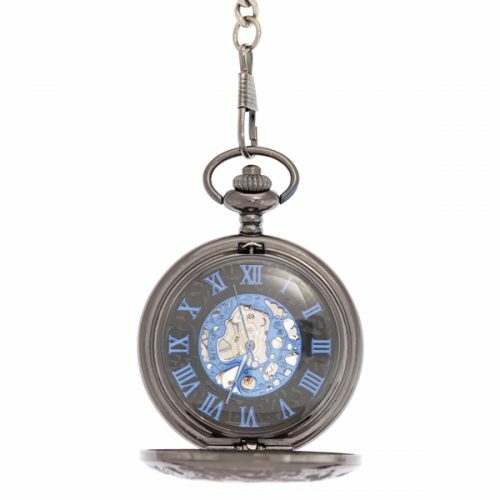 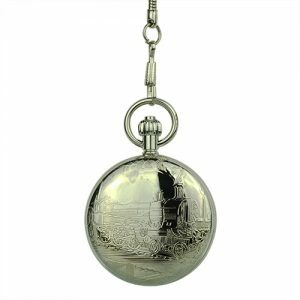 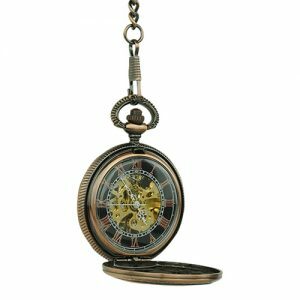 Pops of Blue Half Hunter Pocket Watch - Fob & Co. 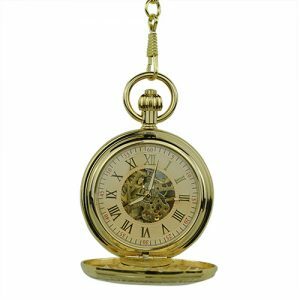 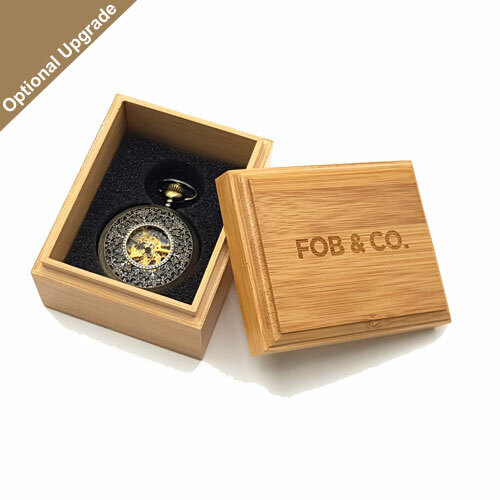 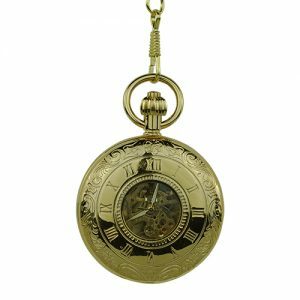 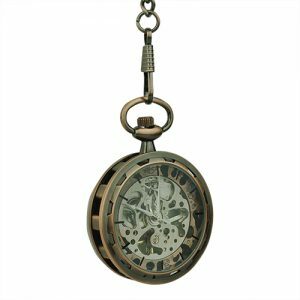 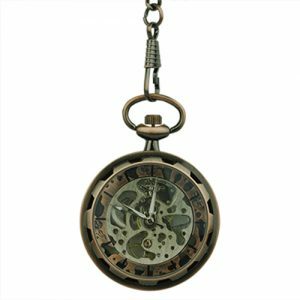 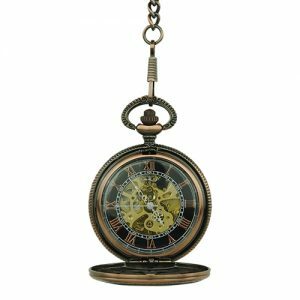 Featuring a black pocket watch frame and half hunter cover, this watch has a way design on the outer ring with Roman numerals on the inner ring. 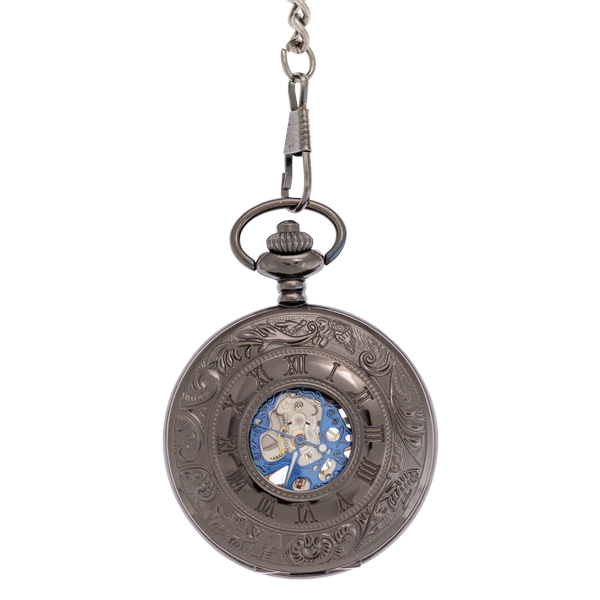 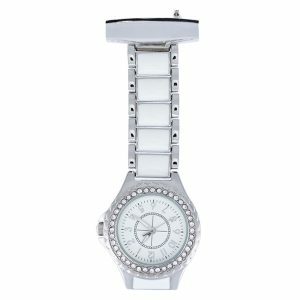 The viewing window displays a see-through watch design to blue and silver-coloured inner workings.